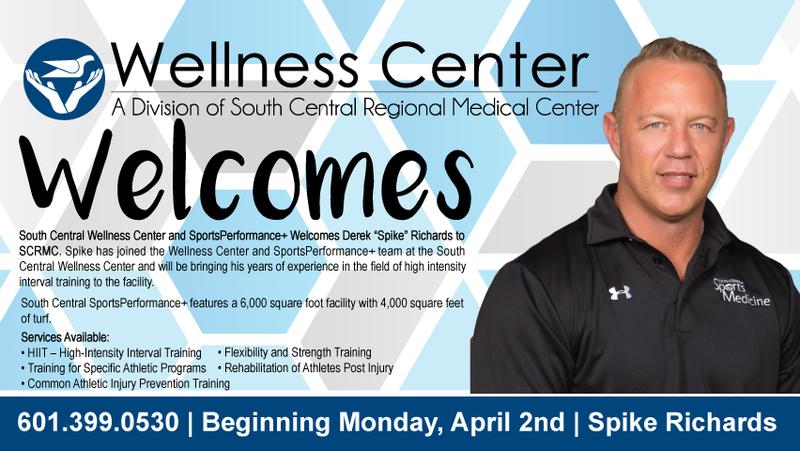 South Central Wellness and SportsPerformance+ Welcomes Derek “Spike” Richards to SCRMC. Spike has joined the Wellness and SportsPerformance+ team at the South Central Wellness Center and will be bringing his years of experience in the field of high intensity interval training to the facility. South Central SportsPerformance+ features a 6,000 square foot facility with 4,000 square feet of turf.